Last week I was doing a little picture book research, and I ran across a forgotten favorite. We used to read it when I taught first and second grades, and oh how the children loved it! The illustrations are beautiful, funny, and heartwarming. Children can really see how the grannies (and people in general) can be loved for their differences. 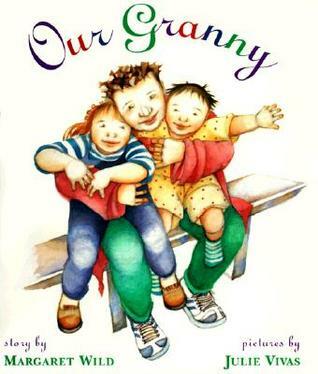 After reading this book, my classes always had the opportunity to write about their own grandmothers and draw a picture of them. This work was displayed and then added to their writing portfolios to share with family members at our end of the year Author’s Tea. Regardless of what other masterpieces their children wrote throughout the year, this one always brought at least one person in the room to tears and laughter. Do yourself a favor, and read it with someone you love!